Around the turn of the last century, a new style of art was born in reaction to the academic art of the 19th century, Art Nouveau. With beautiful forms and elegant curving lines, this “New Art” celebrated flowers, all of nature and the ideal of man’s harmonious place in Nature. 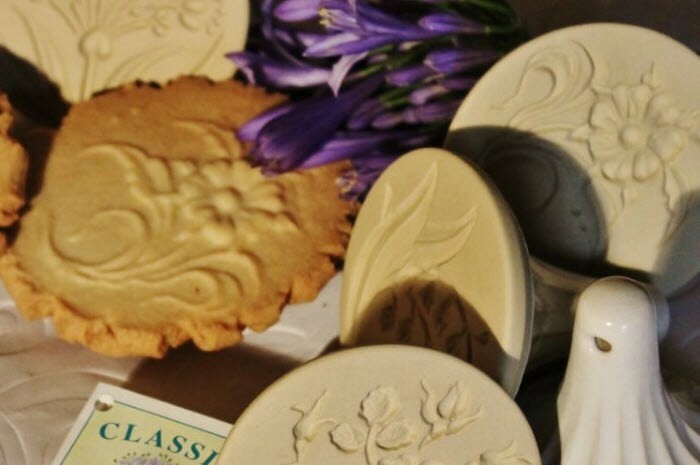 With our series of Art Nouveau Cookie Stamps, we have carved some of these beautiful and stylized flowers into the bases of ceramic stamps so that you can easily press out generous 3” cookies that are as lovely as they are delicious. The handles of this series are glazed white, and each stamp comes with an instruction and recipe booklet graced with an original watercolor of an Alium. A favorite flower of the decorative artists of 1900, this striking Alium blossom is as sophisticated today as it was more than 100 years ago. 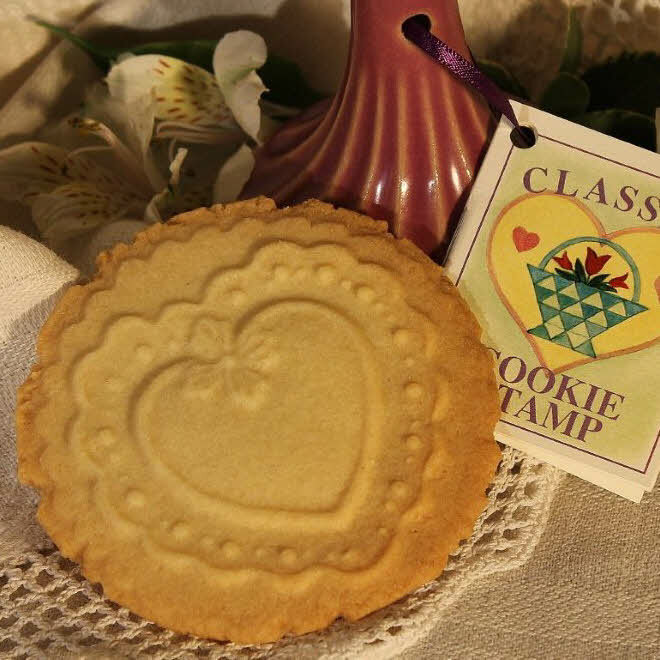 The Moss Rose, with its curving branches and lush blossoms makes a most romantic cookie, perfect for all occasions or none at all. Delicate and understated, elegant and sweet. The curving leaves of this beauty shelter two sprays of tiny bell-shaped blossoms. 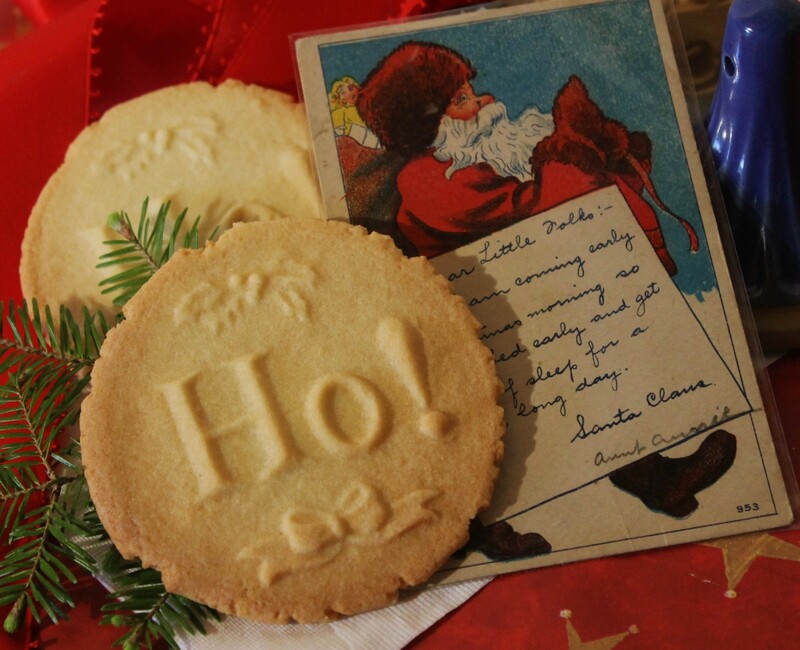 Nibbling a cookie embossed with delicate Woodland Flowers, one can almost see the Fairies and Pixies peeping from behind trees right out of the illustrated Colored Fairy Tale Books. 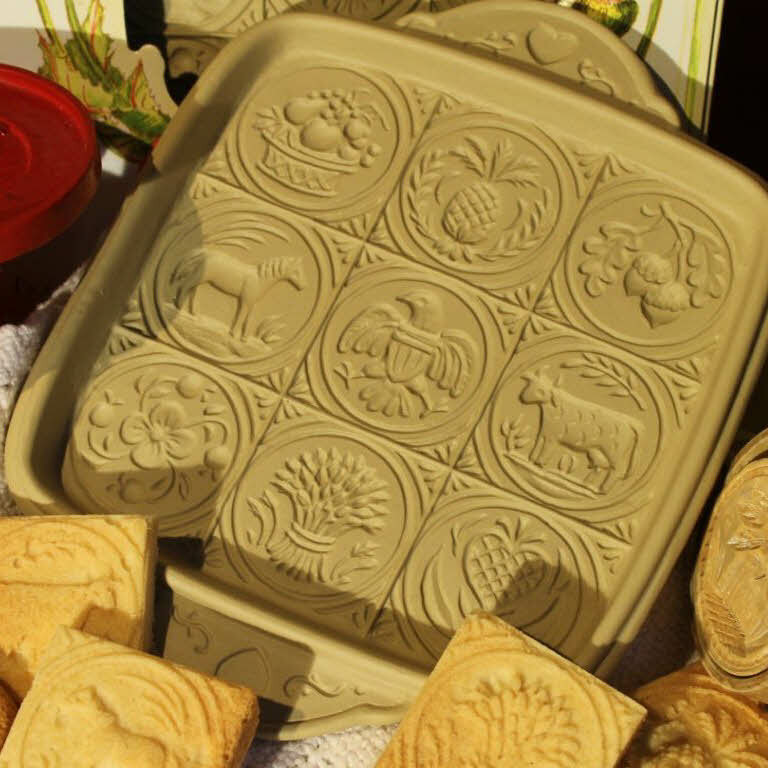 I would like to order the Lily of the Valley cookie mold from the Art Nouveau Flower Stamps 2013 collection. How do I do that?. There are a number of on-line stores that carry these designs. Try sweetnfancy.com or emersoncreekpottery.com.